Amazing Ocean view from this 2nd floor condo! Your first step into this vacation home lets you know you are in for a great time at the beach. Decorated with care by the owner, this home offers spectacular views of the Pacific Ocean in a very comfortable setting. With no other buildings between you and the Pacific, the large deck is a perfect place to enjoy the glorious sunsets and listen to the crashing waves. Or stay inside and enjoy storm watching at its best from the comfort of a cozy chair. The oversized picture windows provide a wonderful view of the beach, rain, shine, calm, or stormy. The well equipped kitchen overlooks the living and dining areas and is perfectly suited for multiple chefs. Following a long walk on the beach, warm up with a soak in the large jetted tub. This unit is a wonderful vacation spot for families or couples. We had a wonderful stay. The condo as always was clean and comfortable with several upgrades from the last time we stayed there. The views are amazing! We rang in another year in this lovely condo. On New Years Eve day it was nice enough to sit on deck and watch 2 bald eagles land on beach directly in front of condo. It’s always immaculately clean! Spent 3 (very rainy) nights in Unit 824. Unit was clean, well equipped and quite spacious. Wonderful Ocean view through very large picture window. Beds were comfortable. Can't really think of anything bad to say about it. Other than a few little things, (no tea or pasta strainers, no scratchy sponge for washing up) the kitchen had everything we needed. Having it's own washer and dryer turned out to be a real god-send as we got soaked everytime we'd go out for a beach walk. We'd toss our wet coats and pants in the dryer when we'd return and they'd be toasty dry and ready for our next excursion. The beach is less than a 100 feet from the condo. Nice place - good value. Unit was clean, couches comfortable, and had a great time. If anything could be improved I'd say maybe a little more silverware. Enjoyed our stay and especially the already cooked smoked turkey dinner and all the trimmings from Aloha Alabama BBQ. Couches getting a little worn, got my sciatica aching. We always have a wonderful stay here. For the second September visit in a row we watched the whales spouting from the condo. Mostly good weather and always enjoy the peacefulness of the ocean and the condo. We'll be back in same unit for Thanksgiving and New Years Eve. We had a great time relaxing in this condo. Very clean and organized which made it easy to move in for a few nights. Two friends and I spent three nights enjoying our condo overlooking the water. We had a great time visiting, sewing and relaxing. Enjoyed Blackbeard’s Pizza one night but otherwise ate in our unit that had everything you need for cooking. We’ve stayed in this unit many times and can tell it’s recently gotten some upgrades (new carpets). We lucked out with beautiful weather! Spectacular sunsets!! Stunning views out of this living room window!! The four of us could not take our eyes off this view!! The condo was beautiful, well stocked, very clean and very comfortable. We loved being in a corner unit with beach access right outside our unit. This was our 1st stay & we will definitely be back!! 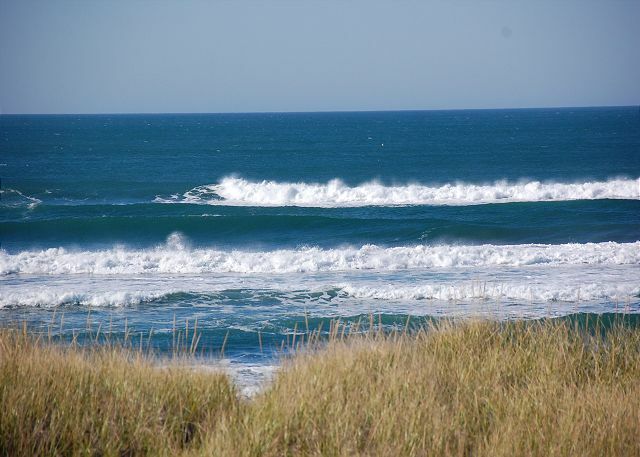 We host retreats for writers on the beach in Westport and will definitely use this condo again. Comfy furnishings, stunning view. always relaxing at the beach. The view for this unit was wonderful. The lack of blankets was disappointing. only a thin cover on the beds and one extra throw. had to keep the heat on high...not fun. Thanks for staying and found the condo wonderful. Extra blankets are in a large clear tote in the Master Bedroom closet for this condo. If you ever find you are lacking something during your stay please give us a call so we can help. We had another amazing stay in unit 824. Must be our 6th or 7th stay here. Cold but clear and of course sunsets that never cease to take your breath away. Always immaculately clean. Great New Years Eve dinner at Westport Winery. Can’t wait for a return visit. We've had such great stays in this unit. Brought other friends this time who were as amazed as the 2 other sets of friends from other stays. Beds comfy, views can't get better. The turkey dinner waiting for us in our refrigerator when we arrived on Thanksgiving day topped it all off. Aloha Alabama BBQ really made our day. Just popped it all in the oven on low for a few hours while we watched the sunset and had some drinks and dinner was served. That's the way to do Thanksgiving. I'd definitely do this whole weekend AGAIN AND AGAIN! Loved the cleanliness, the spaciousness, and the view! A little high in price for the area and the time of the year. Have stayed in this unit before. Had a good time again this time. Wish I could have stayed longer. We had stayed in the building last year, just one floor down. The view is much better from the second floor. Very comfortable accommodations. My husband uses a walker and he had no trouble getting around. I cooked breakfast each of the 3 days for the eight of us and I found the kitchen lacking. Lucky I brought coffee and even the salt and pepper shakers were shy of contents. Some basic supplies would have been nice. We're happy you and the grandkids enjoyed the condo. This corner condos actually offers more oceanfront windows with a view West and North with more floor space than other condos. We stayed four nights and enjoyed every min! From the cushiony carpet (yes, I noticed carpet, lol!) To the amazing view from almost every window, it was wonderful! This is second time here but had stayed in diff condo. (was super nice also) The pool was warm and that was a nice surprise after a trip down to the ocean. It is pricey but has great amenities and I'm sure we'll be back! We were very please with our experience with Vacations by the Sea. The top notch agency with the exceptional view from our beautiful condo made our time at Westport amazing. There is literally a view of the ocean every way you turn. I look forward to visiting again. A beautiful weekend in Westport! Two friends and I spent another long weekend in unit 824, quilting, visiting, and enjoying the beautiful scenery and accommodations. We were pleasantly surprised that the unit had gone through recent upgrades - new carpets, etc. We always have everything we need in the kitchen and bathrooms, including a jetted tub for relaxing! As always, the rental staff were so easy to work with and very efficient and friendly. We were so lucky to have beautiful weather and we were able to get down to the beach and look, unsuccessfully, for agates! We generally eat in, but did go down to the docks once to eat at Aloha BBQ - a delicious meal! The condo was perfect and the location and view amazing. We loved that it looked over the dunes (State Park) as well as direct to the ocean. This is one we'll definitely come back to -we had a wonderful time both playing on the beach and sitting inside and watching the waves roll in. 5th Stay in just over a year! Enjoyed yet another stay in Unit 824. Always immaculately clean. Stopped at Wishkah River Distillery in Aberdeen before hitting Westport. Highly recommend it. Although weather was bad we did get sun one evening to enjoy the deck and watch the sunset. Ate at Aloha Alabama BBQ in Westport and was one of the best bbq's we've had. Marissa, our waiter, was so nice and the restaurant is definitely wheelchair accessible. We'll be back. Thanks for staying again with us and we are so happy to hear how much you liked the BBQ restaurant in town as it is one of our families favorites as well. The Wishkah River Distillery is a fun way to spend an afternoon too! See you again soon. The unit was spotless as usual and the new carpet had been installed. The color looks like it will wear better and show less stains than the prior color. We already have reservations to come back in March for our anniversary. We're pleased to hear you enjoyed the recent improvements the owner has put into this condo. In addition to the brand new carpet, new cordless window blinds have been installed throughout! We look forward to seeing you again in March. Fabulous! Location is easy to get to and our view was amazing! Condo was perfect for all of us! Local establishments were friendly. We will be back. Great stay over Thanksgiving, condo was well stocked with all pots, pans, plates, etc we needed. 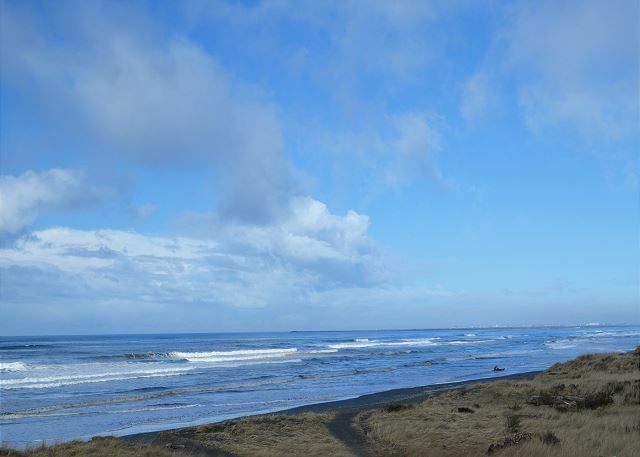 The ocean view is amazing, you can't find anything like it anywhere else on the Coast including Ocean Shores or Long Beach. Fun walks on the beach with the kids. This was our 3rd stay in Unit 824. Brought some friends who had never been before. All of us had a great time and they thought the place was terrific. Couldn't believe the view from all rooms and we even had two whales go by on our last night. Even had sun every day with deck sitting each night. The carpet does need to be replaced, but I'm sure that would have been hard to do during the peak summer months. Now that it's fall hopefully that can be completed. Thanks for staying and wonderful to hear you got a glimpse of the whales passing by! This time of year they are headed north for feeding in the Bering Sea. The carpet is scheduled to be replaced this winter, living at the beach can be hard on things but the owner of this condo is very keen on having it in top condition for guests. See you again soon. It takes some effort to get to this lovely place from Colorado, but relaxation appears immediately. We stayed in a beautifully furnished and well-maintained two-bedroom unit with large picture windows overlooking the surf and sand just feet away. This was a family gathering for a 50th wedding anniversary celebration, and it couldn't have taken place at a grander place. Be prepared to be tempted to load up dozens of sand dollars, but you can also place them artfully along the ridge. We dined often in town and shopped happily at a variety of shops. On a scale of one to ten, we vote for a 15. Wish we could have stayed for more than three days. This was probably the best location on the property. Right on the corner, full on view of the ocean. The condo was well equipped. The trail to the beach is right next to the entrance. Love the bike trail, paved, right next to the walking path. Only suggestion would be to clean or replace the carpet. It makes the place look run down, but it really is NOT run down. Hi Kathy, we are glad you enjoyed your stay. We appreciate your feedback and are measuring to replace the carpet this month. We have it professionally cleaned twice a year and it is simply at the end of its life! Hope to see you again soon. Perfect weekend getaway with stunning views of the ocean. From the moment you walk in, you can't take your eyes off of it! Of the multiple times we have stayed at Vacation by the Sea, I believe this was the best yet. PERFECT NW views! We had a great time staying her during Pirate Daze. ahhhhh.....the Pacific Ocean is everywhere you turn in this gorgeous, relaxing condo. Since it's on the end of the end condo, there's an unbeatable view of the ocean both west and north. LOVED our time here...spacious and beautifully decorated, it was the perfect getaway! We spent New Years Eve and New Years Day nights in condo #824. It was immaculate and nicely decorated. The beds were great and we all slept well. Loved having robes to use after showering. Even sat outside on sunny (but cold) New Years Day as the see through sides of the deck made that possible. We'll be back to this unit again. And, my wheelchair was very maneuverable in this condo. My fellow quilters and I have visited unit 824 several times. This was another great visit with a birds eye view of the water, ample room for the three of us to set up our sewing machines and quilt the weekend away! Everything you need is right in the unit for preparing your own meals. But remember to plan on eating out at the new Aloha Alabama BBQ restaurant near the docks. We each ordered something different, and everyone thought their meal was great. Tinderbox is a nice coffee spot and, while their drinks are very good, the service during two different visits was pretty slow - so don't be in a hurry. Your drink will be worth the wait. Westport now has a full service grocery store again, which is very convenient. 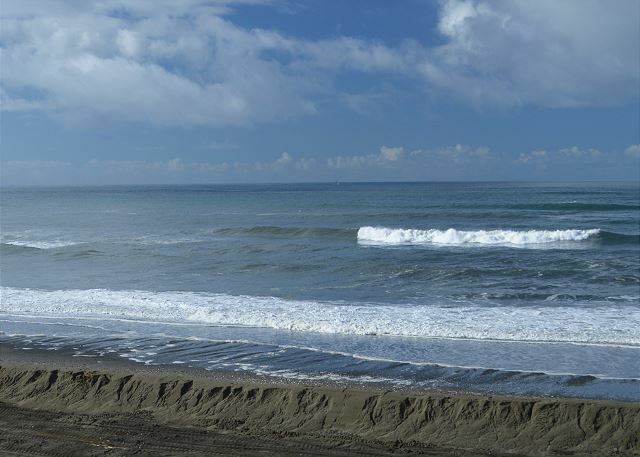 3 surfers stayed in Westport for the Surfrider sponsored surf contest. We stayed 4 days in a 1 bedroom and 3 days in a 2 bedroom. 2nd floor, wonderful accommodations and views. We will be back. Unit 824 was a great choice for our family's recent vacation. It has two ample bedrooms, two baths, a full kitchen and large living/dining room area. Having the washer/dryer in the unit was very helpful! We enjoyed sunny days at the beach, trips into the little downtown area to enjoy meals and watching the fish brought in on the charter boats. Highly recommend a Westport vacation in the clean, comfortable, quiet VBTS units! 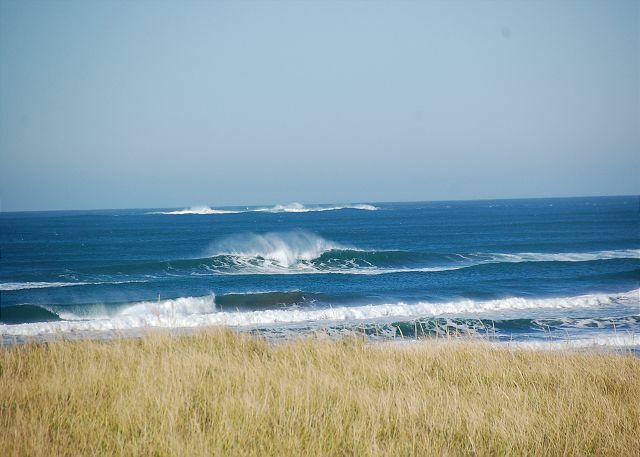 BEST VIEWS AROUND..SAND AT YOUR DOOR STEP..WAVES FOREVER!! Had a great view of ocean. Very clean and comfortable. My family and I were really happy with everything there. Excellent two bedroom condo with beautiful views and nice floor plan. Furnishing were attractive and well cared for. 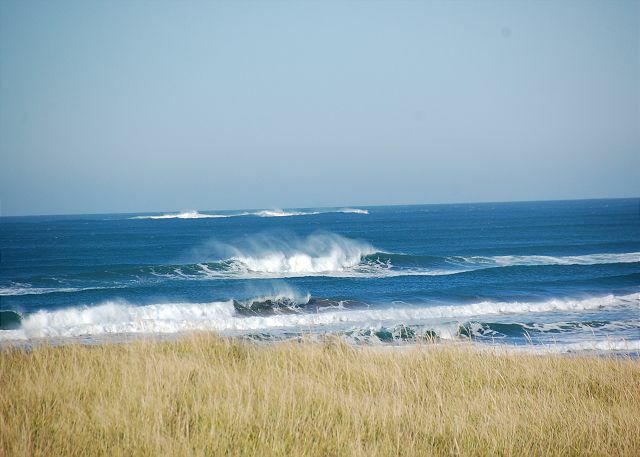 If you are interested in staying near Westport, use VBTS and you won't be disappointed. May is a perfect time to visit. A perfect place for a stay while attending my son's retirement celebration for his 21 years of service in the United States Coast Guard. Unit 824 has the grandest views. Vacations by the Sea - another great visit! We had a large, roomy condo right on the beach and walking path. We've stayed there several times and always return for its great location, the quiet and the view of the water. We appreciate the rental specials that are available at certain times, and were able to take advantage of the second night half off special for this visit. All of the personnel we had contact with bend over backwards to be sure you are happy! Ocean front condo with a fantastic view. Condo was clean, comfortable, and spacious, with all the amenities. We had a perfect girls weekend at the coast! Beautiful views and very comfortable. My husband didn't want to leave and he hates to be away from home. We were very pleased with this condo. The views were amazing and the home was clean and comfy. We will be back to enjoy this property again. We didn't have much luck in finding a good place to eat, however, the kitchen was great and we saved money by eating in! WIFI was a bit touchy, but the views and the beautiful weather made up for that issue! We had a great time the condo was clean and comfortable. The only thing missing was the pool towels and we only had bathroom towels for 4 when their was 5 of us. Thanks for staying. The extra pool towel and bath towels would have been in the master bathroom but if you find anything missing during a stay just give us a call and we'll bring it by your condo. The views from Unit 824 were amazing. This corner unit was clean and nicely furnished. Nice layout. The Management Company is no longer on the property and we believe that is a negative. Bike rentals are not on property and no towels in the pool area. You are expected to use your bath towel yet no extra towels are provided in your room. Main building closes early so no access to library, games, coffee etc. I miss the Priests being on-site. There is a noticeable difference and the welcome feeling is gone. For what you pay you should at least provide towels for the hot tub and pool. Also, missed having coffee filters for the coffee pot. Thanks for staying with us again and I understand your disappointment regarding the new management of the clubhouse. We enjoyed our time there helping all the owners and guests, but the Home Owners Associated for the condos decided they needed the office space. We have a new office location near the Marina and would love for you, and all our guests, to stop in to say hello. We plan to have colored bath towels in each of our condos for our guests when the pool opens. For coffee, a filter is not needed since the coffee comes in a filter, just drop it in the top. Also I wanted to clarify that our check-in time is 4pm and while we do our best to get folks in early if possible, the condo was not ready at 11am when you arrived which might have started things off on the wrong foot for this stay. See you again next time! Would definitely come again. Our visit was too short! The office staff was sweet and helpful. The condo was as homey as possible with a gorgeous view. Thanks for staying and I'm glad we could return the item you left behind. See you again soon! We have walked by the property for years thinking (hoping) we would stay there some day. Some day was in October 2013 and it was fabulous. The unit was clean, well appointed, the kitchen was well equipped, the baths were clean and there was an in-unit washing machine and dryer. We had a corner unit with views along the beach both north and south and directly west out to the Pacific. The sun set directly out our living room window. We had a blast watching the pelicans; we also saw a tanker and a car carrier pull in...we could see the top of the West Light out of our bathroom was fabulous; it could not have been better. What a great hidden treasure! It was wonderful and I will definitely be back with my family! Very quick trip, enjoyed our time. Hope to visit again soon. Great for a short getaway! Good beach access and the kids loved the pool. We loved the VBTS location. We had a corner unit that faced the beach...WOW what a view. The condo was spacious and perfect for our group of 5. The hiking trails and the light house were conveniently located near the property. We loved the area and will be back soon. Condo on the beach, just steps from the ocean. Beautiful dunes with deer visiting. The beach is spotless. We had a great view of the water and the room was spacious and comfortable in all ways. 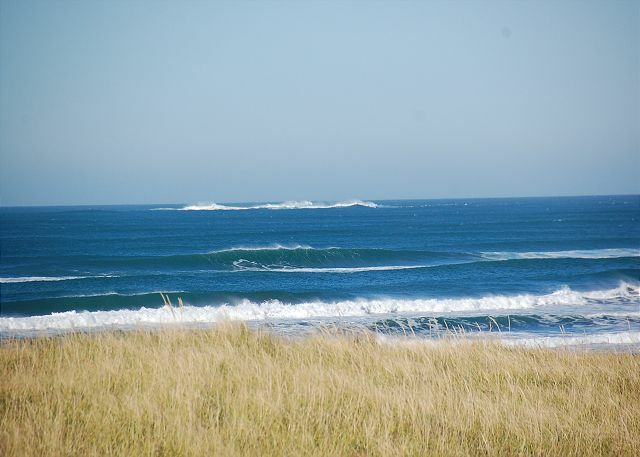 The little fishing town of Westport is within a few minutes; many charters available if that's what you are looking for. Not too many places to eat, but the condo has everything for you to fix your own meals, anyway. Highly recommend Vacations by the Sea! The condo was wonderful! Very comfortable. Just like being at home only a much better view. The view of the ocean was fabulous. Just remember, when you can see into my condo, I can see into yours!!! Only complaint is having to wait until 4:00pm to check in. I could understand if the condo had just been vacated, but our condo was vacant for a day and a half before we got there. Still couldn't get in until 4:00. That's pretty lame. Thanks for staying and we're glad you found the condo wonderful and comfortable. In regards to our check in time, please keep in mind this was just after Memorial Day which with every condo sold out. We prioritize all our rooms with arrivals and were able to get you in a little after 3:00pm, but it does take time to ensure the rooms are cleaned to our standards and our guests expectations, especially after a long holiday weekend. Washington's tallest lighthouse is a short walk away and a great place to visit to pass the time or we are happy to offer other suggestions for attractions if you arrive before the check-in time of 4pm. Hope to see you again in the future. Great location right on the beach. Many sandollars. Super fun! Shhhhhh! Don't tell everyone! Just kidding, our kids love picking them up on our daily walks on the beach with more and more washing up every tide. Some of the best sand dollar hunting anywhere we've been. You can easiliy collect 50 intact ones in just a short walk so bring a bucket! See you again soon. Beautiful home with space to share meals, and card games inside. Outside we clammed,crabbed, whale watched and walked beaches collecting shells. Thank you for sharing your home. It's a true ocean treasure. wonderful time clean comfy all kitchen stuff youll ever need. bring your own food enjoy!! Plenty of space for a larger-than-average family. Everything in nearly impeccable condition. Counting the days until we can return. Condo # 824 is great. Beautiful views, great balcony, nice place. We would stay there again. The only thing you could do is put a little paint at the bottom of the front door. Thanks we had a great time!!!! We love Vacations by the Sea! We make it an annual trip and our most recent 2 bedroom unit 824 has been our favorite. Great for our 3 small kids - lots of space, clean and fun for all! I would recommend it to anybody! We loved our short stay at "Vacations by the Sea": from the ocean views, a minute walk to the beach to a very nice and cozy condo. Our next trip will definitely be at least for a week :). Thank you for such high marks and we're happy you were so pleased with the condo. We do offer weekly discounts so see you next time when you can stay longer! Loved our vacation. It's our 3rd time staying with VBTS and we plan on making this an annual event. We have stayed in a different building each time to see what we like and have never been disappointed. we loved it! and so did our family! the setting is beautiful! the beach is fabulous! the pool was perfect for our grandchildren! It was relaxing in every way. I wanted to buy this condo! I will definitely be returning, and I am recommending this site to my friends. We're glad you had such a nice time at Vacations by the Sea and will recommend you to your friends. See you next time. Condo 824 was a fantastic location w/ amazing views. The huge windows and deck overlooking the ocean were awesome. A good time at Westport. Thanks for relaxing with us at Vacations by the Sea & thanks for bringing the sunshine this weekend - we hope to see you again soon! The unit we stayed in was fabulous. The view was simply breathtaking and completely unexpected which made it a fun treat. We were there with our 3 kids (16y, 14y, 4y) and they all had a great time. We will surely stay again! Thanks for staying and we're glad you enjoyed the wonderful view from this condo, see you again soon! Condo's are a;ways clean and comfortable. We will be back!!! Beautiful weekend at the beach! A group of us stay in unit 824 at least once a year. It's right on the water and right next to the walking path through the dunes, the lighthouse, etc. We hit a perfect weather weekend and spent much time quilting in the room! Very comfortable accommodations. If I had one criticism, it would be the kitchen supplies a little lacking. But we know to bring our own good knives, baking dishes, etc. All in all, a great weekend. Thanks for staying with us again and I'm happy the weather was perfect for your visit. Since each condo is furnished by the owner, kitchen supplies and equipment can vary but we always ensure there are enough pots, pans, plates, and other accessories to cook and enjoy meals in the condo's. Some of our owners like to equip their condo with spices and specialty equipment like waffle irons and espresso makers for their use which our guests also can enjoy. Hope to see you again soon. We have stayed many times at theVacations by the Sea, always enjoy any time of year. Thanks for staying with us again and we hoped you loved the view out of this condo. Being a corner unit it has one of the best views on property. See you again soon. Wonderful view from this unit. Close to the walking path and the shore! We loved out stay! Thanks for the great review and we're happy you enjoyed your stay with us. This condo being a corner unit offers more space than others and with the larger floorplan lets people spread out in the place and not feel cramped even with 6 people. The Westport Lighthouse walking trail along the coast throught the dunes is a wonderful attraction and we're glad you found it. It allows people of all age and ability the chance to explore the coast. We hope to see you again soon. The rent is way too high and a cleaning fee on top? a guest from Federal Way, WA does not recommend this vacation rental. There were several maintenance problems. In 824 the toilets kept running. Every time the toilet was flushed in #824, the bulb in the back of the toilet had to be manipulated. There is a chair in the dining room of #824 that is frayed and needs repair. The front door in unit #824 needs painting. We're sorry you had mixed feelings regarding your stay with us. The condo you chose to stay in is one of our premium oceanfront corner units with 270 degree views of the ocean and dunes and thus priced higher than some of our other condos. We appreciate you bringing the maintenance issue to our attention and they have now been taken care of. We always encourage guests to let us know right away if there is any problem with their condo so we can address it quickly and hopefully resolve it during their stay. Thanks for taking the time to let us know how we are doing, we appreciate the good and the bad so we can improve our property for all our future guests. The views were amazing and it's just a short walk to the beach. You can get amazing fresh seafood not too far from this location. Thanks for staying with Vacations by the Sea. We're glad you had a chance to enjoy the fresh local seafood; our favorite place to eat out is Half Moon Bay Bar & Grill and we love picking up fresh fish off the docks and cooking at home too! Hope to see you again soon! The unit we stayed in was perfect! The unit was very clean and comfortable. We had a great time and would definately stay here again. We had a great stay! We were amazed by all the Sandollars we found. We will be back! We rented two condos (824 and 821) for a long weekend extended family getaway and couldn't have been happier. 824 was nicely decorated, laid out, had great views of the ocean and had everything we needed right from the start. Will definitely stay here again. awesome stay as usual! we love,love,love this place!!! We thoroughly enjoyed our stay with you. Everything was awesome!!! A group of us rented #824 for the second time for a quilting retreat. Comfortable, easy to travel to from the Seattle area, quiet and a great view right on the beach. Plenty of room for all 4 of us and all of our equipment! Unit was very sparse, not even salt and pepper, just the bare minimum furniture. Great view, lovely layout of condo, great location.